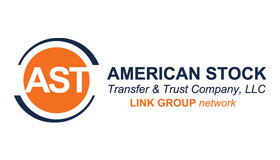 L Brands, Inc. is pleased to announce that it has appointed American Stock Transfer & Trust Company, LLC (AST) as our transfer agent and dividend disbursing agent. AST is also the administrator of the company’s dividend reinvestment/direct stock purchase plan (DRIP/DSPP). Effective Aug. 3, 2012, all shareholder records were transferred from BNY Mellon Shareowner Services to AST. Shareholders should contact AST for any questions relating to their L Brands, Inc. stock ownership. Accessing the AST website is designed to be simple. You can quickly retrieve information on your account holdings and history, view and download frequently used forms and process many transactions such as, sale of shares, address changes, enroll in the dividend reinvestment plan, sign up for direct deposit of dividends and more. There is also an extensive Q&A available to answer frequently asked questions. Step 1: Log on to AST’s website at http://www.amstock.com. Step 2: Click Shareholder Account Access under the Shareholder Services section. Step 3: Enter your account number (available in the upper right corner of this letter). Step 4: Enter your Social Security Number or Tax Identification number. If you need assistance, click the Contact Us link. A live customer service representative may be reached via the Live Help button. Shareholder services representatives may be reached 8 a.m. to 8 p.m. Eastern, Monday through Friday toll-free by dialing 866/875-7975 and selecting Option 1. Shareholders may also call direct by dialing 718/921-8124. Please note: it is recommended that you send all certificates and/or documents via registered mail with return receipt requested. In addition, stock certificates should be insured for 1% of their market value which is the likely cost to replace certificates if they become lost.